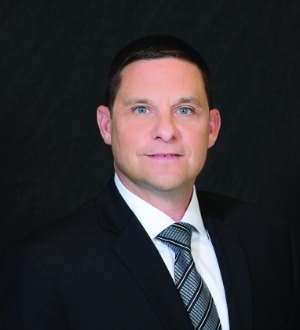 Jason A. Daria handles a wide range of complex civil litigation involving motor vehicle and trucking accidents, construction accidents, premises and product liability, personal injury, and medical malpractice. His history of successful motor vehicle and trucking results include a $31.3 million verdict, the largest motor vehicle accident jury verdict ever awarded in the Superior Court of New Jersey in Camden County. Jason’s client was permanently injured when his car crashed into a dangerous guardrail. Jason has also recovered millions of dollars for workers injured in construction accidents due to unsafe and hazardous working environments. He recently obtained a $13.3 million settlement for a 33-year-old carpenter who fell at a construction site after a roof truss he was installing collapsed. Jason also obtained an $11.3 million settlement for a concrete pump operator who fell through an unguarded open hole at a construction site. Jason has been named a Pennsylvania Super Lawyer by Thomson Reuters every year since 2010. Beginning in 2014, NJ Magazine has annually placed Jason on its Top Attorneys list, a result of comprehensive polling of members of the Southern New Jersey legal community. Jason has been certified by the Philadelphia County Court of Common Pleas arbitration program where he regularly served as an arbitrator. He is Vice President of the Board of Directors of the Legal Clinic for the Disabled at Magee Rehabilitation Hospital, which provides free high-quality legal services to low-income individuals with physical disabilities. Jason also serves on the board of the Philadelphia Trial Lawyers Association. Jason has volunteered with the Support Center for Child Advocates, the Juvenile Justice Center Family Services of Philadelphia, and the Police Athletic League of Philadelphia. He frequently presents at continuing legal education programs, and has completed ongoing trial advocacy and civil litigation training programs by the National Institute for Trial Advocacy and the Academy of Advocacy of Temple University. Jason earned his law degree from Temple University Beasley School of Law, where he received recognition for outstanding trial advocacy skills. He is licensed to practice in Pennsylvania, New Jersey, the U.S. District Court for the Eastern District of Pennsylvania, the U.S. District Court of New Jersey, the U.S. Court of Appeals for the Third Circuit, and the U.S. Supreme Court.